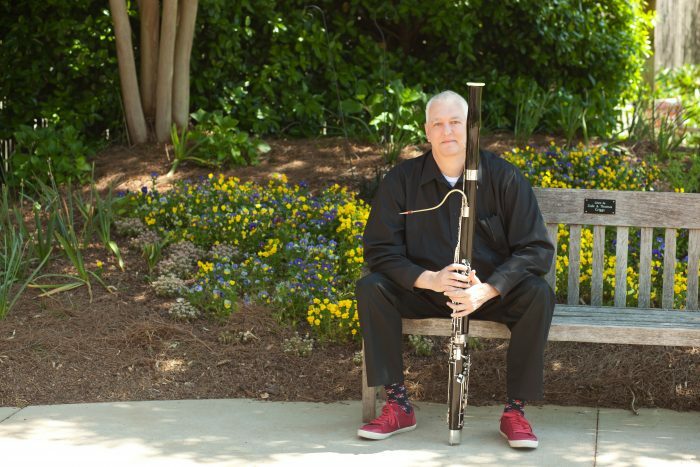 Hunter Thomas, Principal Bassoon, Personnel Manager, and Librarian, performed with the Huntsville Symphony Orchestra for more than forty years after winning an audition in 1971, while still a student in high school. He died on August 24, 2018, age sixty-two, after a lengthy battle with cancer. Hunter bravely weathered this illness with the same fun-loving but uncompromising determination that long endeared him to so many friends and made him a respected musician and teacher from Cincinnati to Colombia. He was one of the most vital figures in the history of the HSO. His dedication to this ensemble was boundless and consummately professional—matched only by his energetic devotion to the talented young music students he mentored across several generations. “There are times,” noted Marcel Marceau, “when silence is full of music.” Though Hunter’s bassoon will no longer sound from within the orchestra, his legacy will long remain to inform and inspire us.